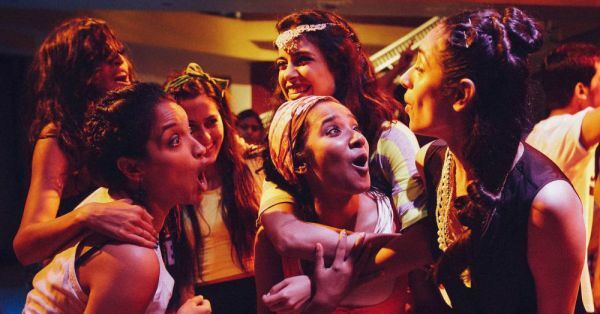 7 Reasons You NEED To Have A Girls’ Night Right Now! Looking ultra fashionable to make the world jealous, eating our favourite food without giving a damn about our weight, and having never-ending juicy gossip sessions with our girlfriends...yes, it's no ordinary night. It's Girls' Night!! Here are some reasons why girls' nights are super important! 1. "I'm so exhausted looking so fab everyday"
Girls' nights are meant to pamper yourself and feel good. And not to forget that nothing can boost your confidence like the compliments showered by your girlfriends. Just pour your heart out over a couple of drinks & make the night memorable for days to come. Nobody is gonna stop you today! 3. "Life is a pain... But my girlfriends are the painkillers"
Others call it girls' night...girls call it therapy! After a terrible day at work or getting into an argument with your guy, who can offer their shoulders to cry on better than your girlfriends?! Girls' talks are more spicy than any cuisine in the world. How would boys know! 5. "My boyfriend takes a decade to understand what my bestie understands in a second!" Girls' night's are not only about drinking and partying like hell. Sometimes feeling comfy in your pajamas and having deep and meaningful conversations with your gang can be more soothing than anything. 6. "DJ wale babu mera gaana baja de...!" When no boys are around, there is no reason to be even slightly embarrassed of your naagin dance skills. Just kick off your heels and dance to your own tune like a diva! 7. "I feel like a free bird!!"